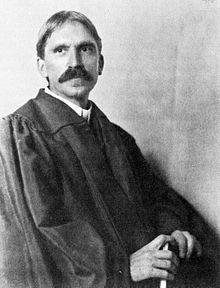 It’s startling how John Dewey continues to sound so current. Notice how Dewey’s conception of the school as a social institution and the necessity for a focus on positive and healthy growth parallels our model of schools as ecosystems and the PERMA idea of positive psychology that I discussed earlier. In our crazed school culture of high stakes testing, our focus is primarily on a child’s–and teacher’s–deficiencies, and we can see the effect that this has on schools: distortion and perversion. Environments of backstabbing and bullying. What should we focus on in schools? On what children are interested in and do well. On what adults are interested and do well. And celebrate those strengths and interests, while tackling the greatest of challenges with those strengths. It is only through the strength of a community that healthy growth is promoted. One of the things I love about Dewey is that he offers an alternative to the competitive model, where students are ranked in opposition to each other. His philosophy is healthy for individual students, but also for school communities, since it fosters a sense of respect and inclusiveness. Yes, definitely, and I think that sense of respect and inclusiveness is so central to our model as well, because when we are discussing relationships in a school ecosystem, we're talking about morality and social relationships as Dewey did. It's always great to be reaffirmed by an intellectual great from the past, ain't it?